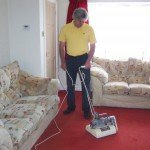 Carpet cleaning is important! 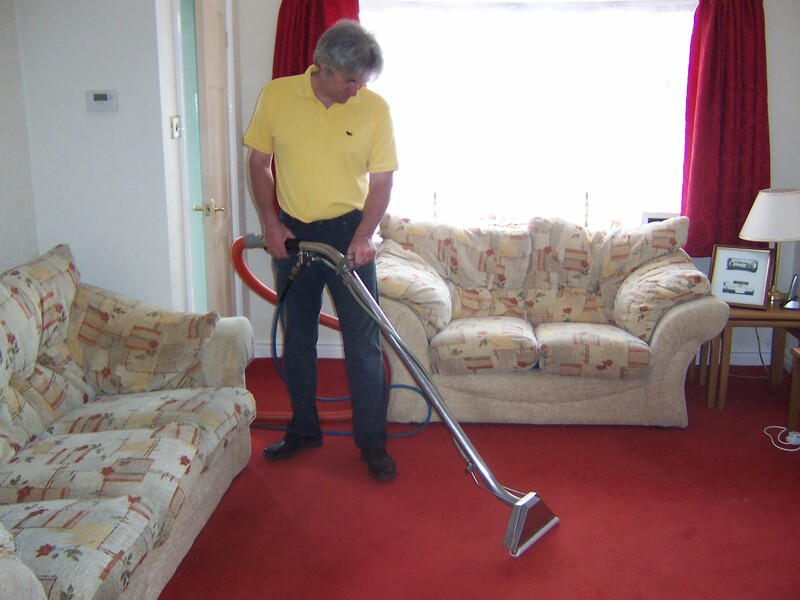 Carpets are a major investment in your home, and regular cleaning is necessary to keep it looking good. Just as the clothes we wear, need regular washing to keep them fresh and hygienic, so carpets require periodic professional cleaning. 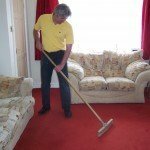 Accumulated soil and grit are major causes of reduced carpet life, and enable destructive and health harmful dust mites and bacteria to work unchecked.Carpet cleaning costs are minimal when you consider the cost of replacing a carpet so regular cleaning makes economic sense too. 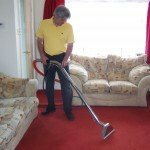 The proceedure we use to give your carpets the best possible clean is detailed below. 1.VACUUMING. 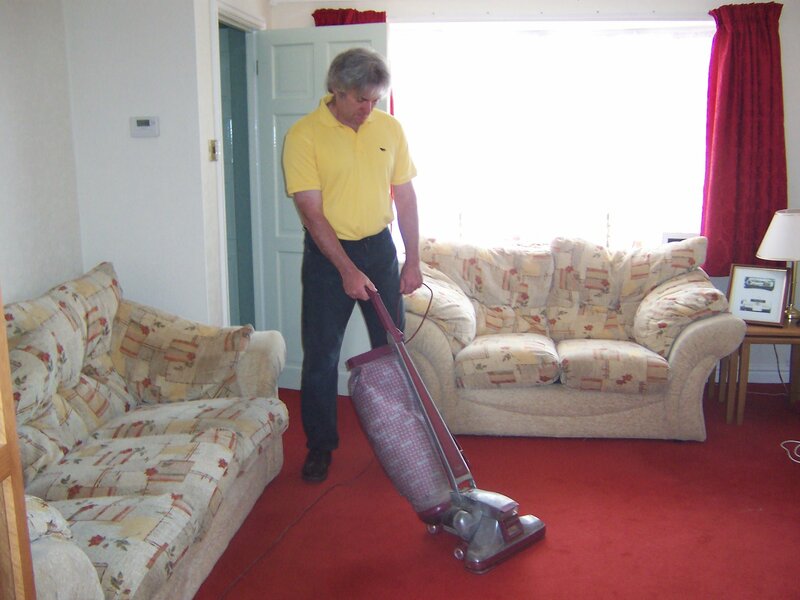 We will vacuum the carpet to open the pile and remove the particulate soil such as dust grit and pet hairs trapped within. 2. PRE-SPOT DIFFICULT STAINS. 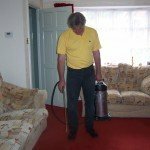 We will pre-spot your carpet using specialist stain removal techniques on stains which are of particular concern to you or that we know will be difficult to remove using non-specialist techniques. 3. HEAVY DUTY PRE-SPRAY. 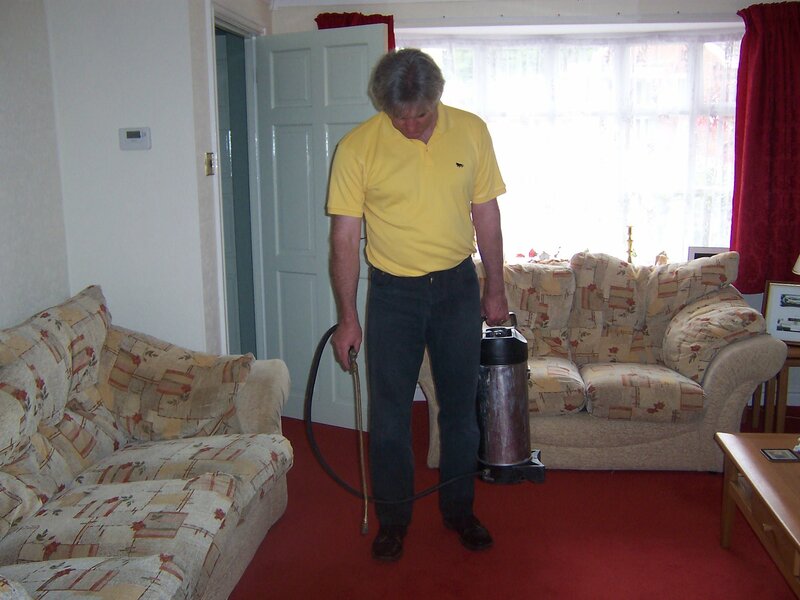 Next we will apply a heavy-duty pre-spray specially designed to electro-mechanically lift oily dirts and pollutants from your carpet fibres and suspend them floating in an aqueous solution ready to be quickly and safely extracted using our state-of-the-art extraction machines. 4. AGITATION. Once the pre-spray has been applied a Twin Brush Contra Rotating Machine is used to help the pre-spray break down the soiling from the tip to the base of the pile. 5.TRUCK-MOUNTED HIGH-PRESSURE HOT WATER EXTRACTION MACHINE. 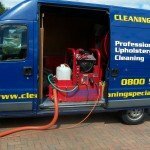 Now for the noisy but very efficient machine we use to thoroughly clean and rinse your carpets. 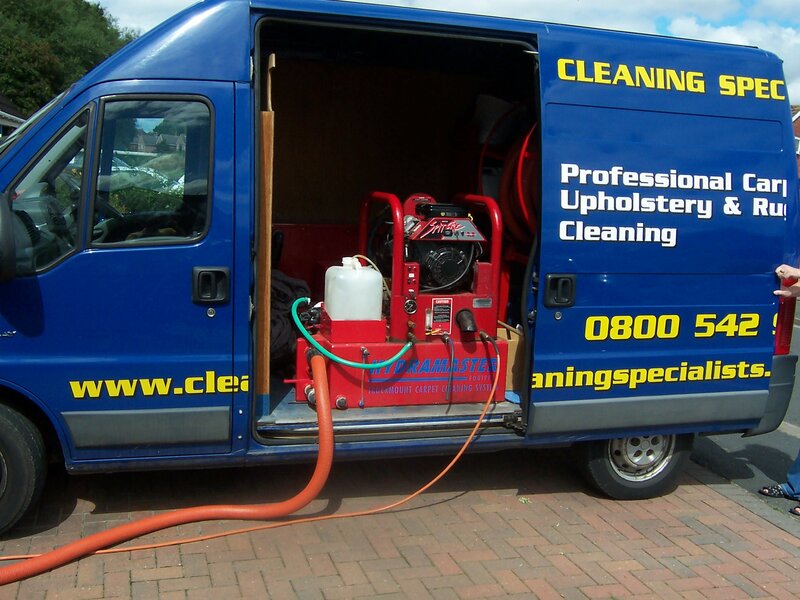 The truck-mounted, high pressure hot water extraction unit we use cleans much better because it heats water to a high temperature and then shoots the cleaning solution into the carpet at high pressure. This helps to break up the dirt, bacteria and pollens in the carpet. 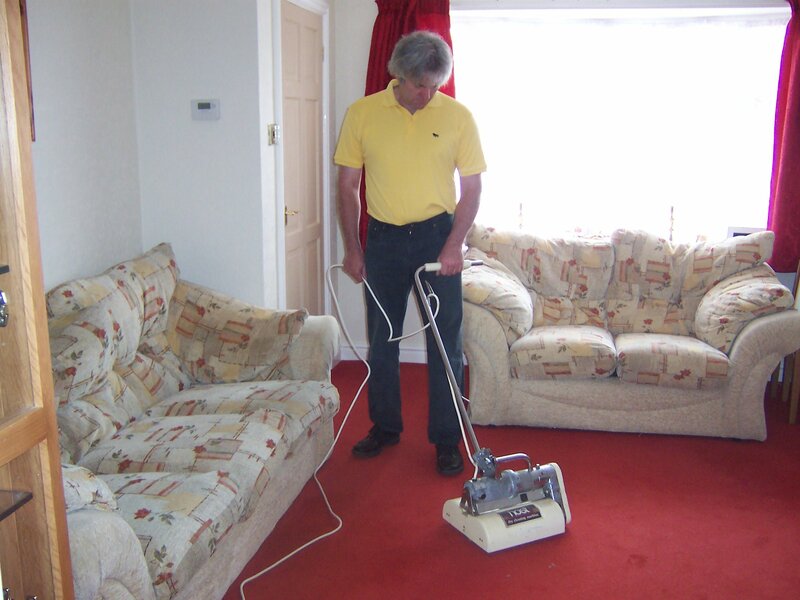 The machine then produces a huge vacuum volume to draw the dirt and chemicals out of your carpet. 7. GROOMING. 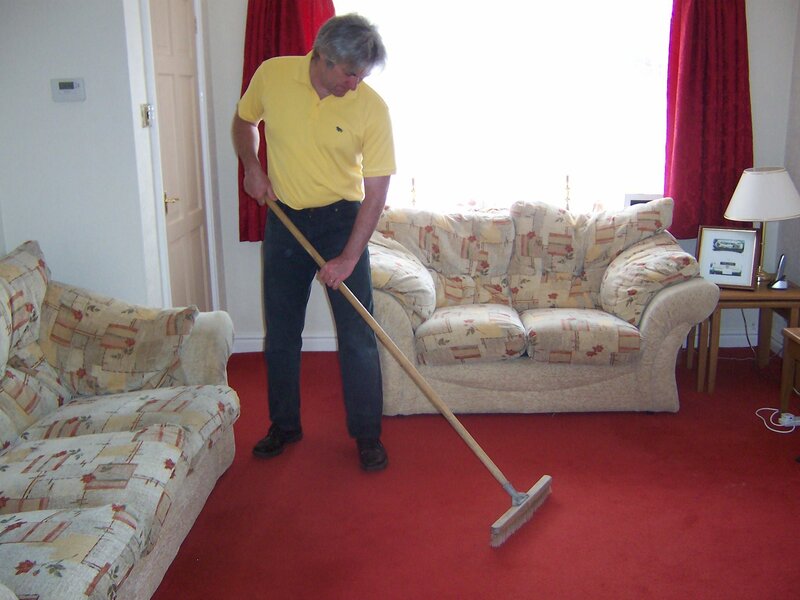 Finally, where, appropriate we will groom your carpet to leave it in best possible condition. This usually means we run a grooming rake over the carpet to ensure the fibres are tangle-free and ‘fluffy’ as possible. 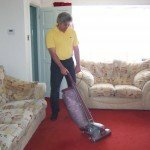 If you would like a estimate over the phone please be sure to have the sizes of the carpets you are thinking of having cleaned so that we may be able to help you or if you would like to us to visit you to discuss your requirements in person we are happy to do this and provide you with a no-obligation quotation. Alternatively if you would like to send us an email please use our contact form and we will reply as soon as possible.